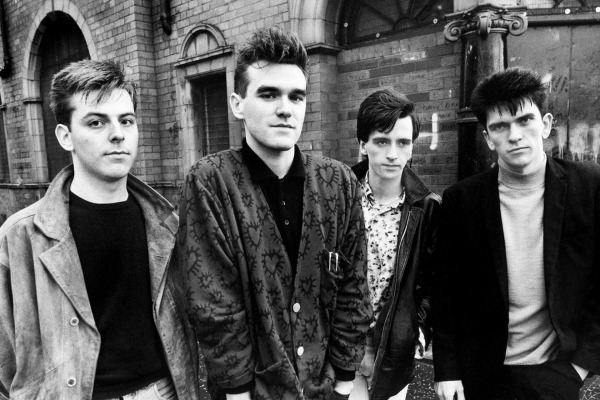 The upcoming expanded reissue of The Smiths’ classic 1986 album The Queen is Dead, it turns out, will be bigger than originally thought. Rhino Records this morning formally announced the first-ever expanded reissue from the legendary band, revealing that it will be be released as a 3CD/1DVD boxed set and feature a previously unreleased live album. Initial reports about the expanded reissue — based on an early, and since deleted, listing on Amazon in the UK — showed it being a 2CD/1DVD set, with no mention of the live album that makes up the third disc. 2CD version: Features the 2017 remastering of the album on one disc, and the 13 additional demos, B-sides and alternate versions on the second disc. 5LP boxed set: Features the 2017 remastering of the album, the demos, B-sides and alternate versions, and the Live in Boston album spread over five records. The band has been leading up to this reissue all year, first with a Record Store Day 7-inch featuring the previously unreleased “demo mix” of Queen is Dead track “The Boy with the Thorn In His Side,” and the “early Drone Studios version” of “Rubber Ring,” later compiled on Louder Than Bombs. Then, on June 16, the 31st anniversary of The Queen is Dead’s release, new 7-inch and 12-inch singles of the album’s title track appeared in U.K. record shops, each with previously released B-sides. And on Wednesday, the band released the previously unreleased “Take 1” version of “There Is a Light That Never Goes Out” that’s included on the set (stream it here). Below, check out the full tracklist for the expanded Queen is Dead reissue and the new artwork. Tracks 1-7 and 9 previously unreleased. Track 8 released on 7-inch for Record Store Day. 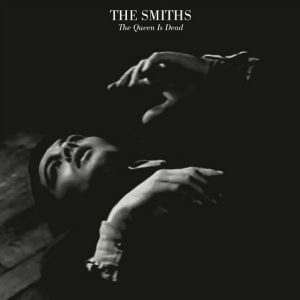 The Smiths’ ‘The Queen is Dead’ getting new 7- and 12-inch vinyl releases next week? Well, what a disappointing piece of crap the dvd is. A 15 minute video everyone’s already seen where you can’t even see the band once?? come on! Getting the same sick feeling I had with the Velvet Underground expanded editions of “drawer cleaning” in the form of sprucing up bootlegs (as much as one can) to appeal to fans who already have the bloody things on the part of Sire/Warners through Rhino. It’s the same thing with The ‘Mats, RAMONES, and R.E.M. (though if the fan club singles came out, I’d be all over that like Brenda Richie on Lionel circa 1988). Does anyone know where I can pre-order the LP, besides amazon? Give Landlocked Music a go, Pearl. I noticed they had pre-order notice up on their Twitter feed. That lot is amazing. Hope this helps. Norman’s records are very good.